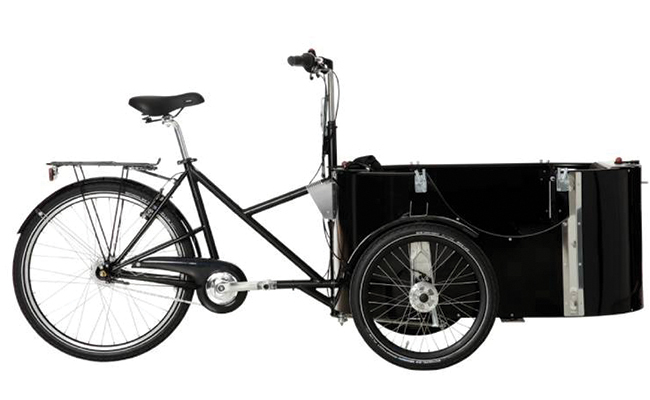 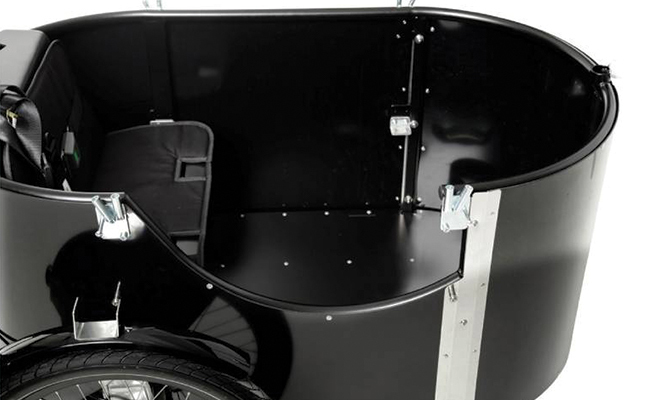 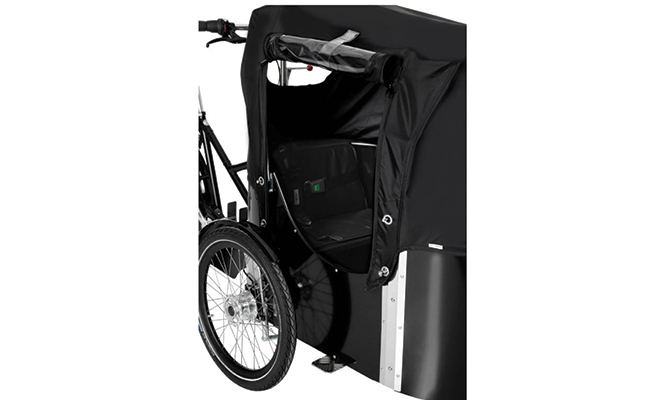 The nihola 4.0 is a cargo bike for families and institutions. 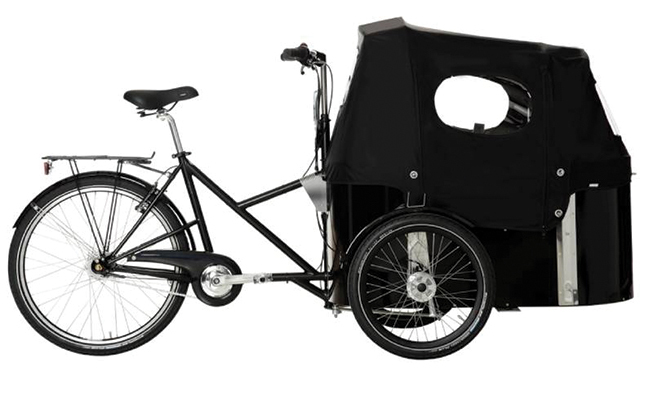 The nihola 4.0 can carry up to 120kg and there is room for four children up to 7-8 years on the two benches. 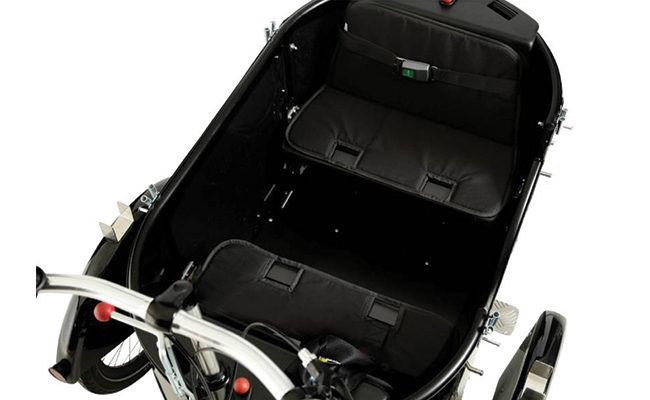 As an alternative a carry cot or car seat can be used in the bottom of the cabin and two children or an adult can sit on the bench. 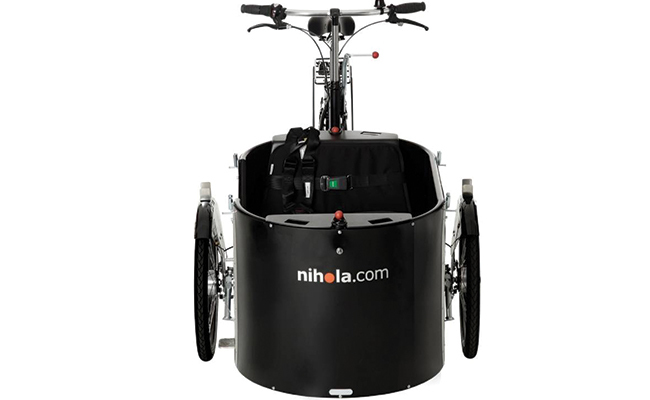 The nihola 4.0 can also carry a stroller. 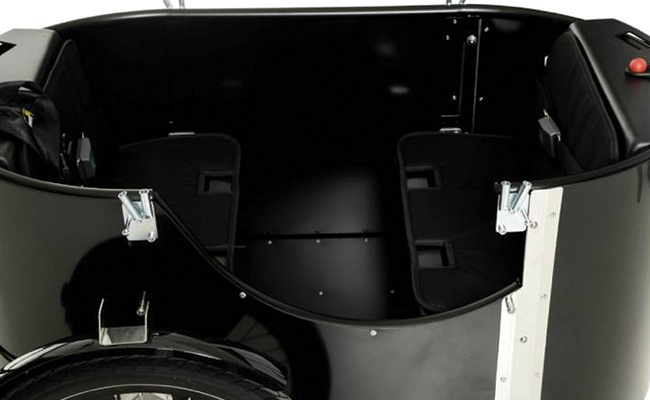 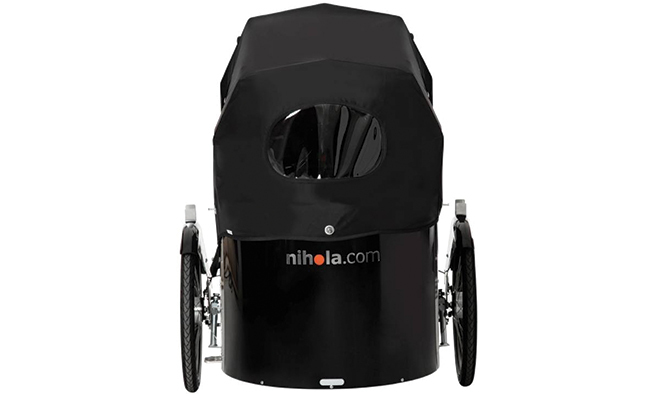 The nihola 4.0 has the same stable riding mechanism as our other products and is constructed with front support legs when parked. 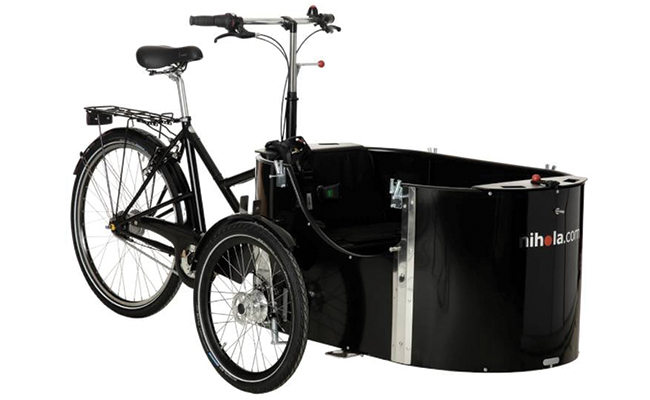 Moreover, it comes with a low entrance for children.